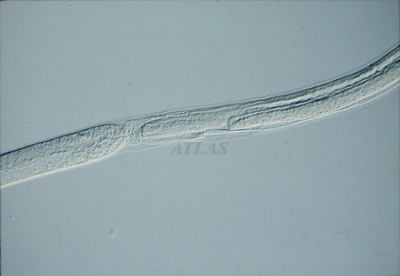 Rhabditiform larva of Strongyloides stercoralis. the larvae found in the fresh faeces of man, X 200. 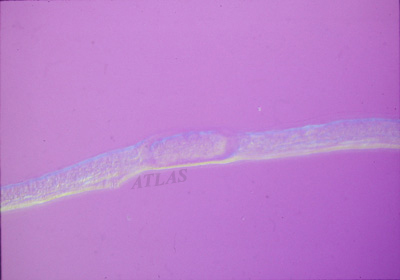 A rhabditoid larva of Strongyloides stercoralis. Photographed with a microscope with differential interference contrast attachment (DIC). x200. (Hong et al. 1988. Korean J Parasitol 26: 22-6). x200. 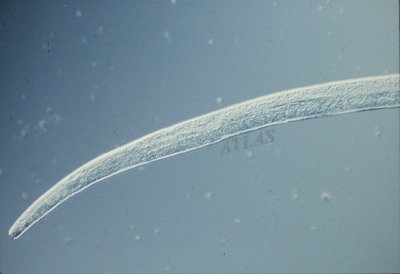 The filariform larva of Strongyloides stercoralis collected from sputum of a patient. x200. (Hong et al. 1988. Korean J Parasitol 26: 22-6). A parasitic female of Strongyloides stercoralis. x100. 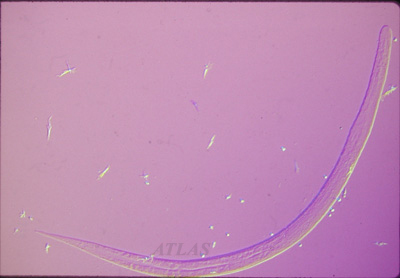 The transient junction of esophagus (left) to intestine, Strongyloides stercoralis. Photographed with a microscope with differential interference contrast attachment (DIC). x200. (Hong et al. 1988. Korean J Parasitol 26: 22-6). 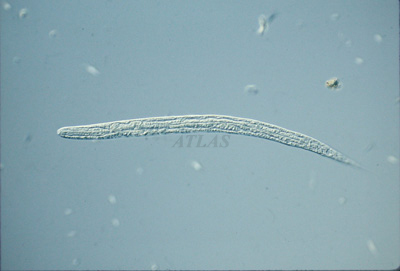 Esophagus of Strongyloides stercoralis. x200. 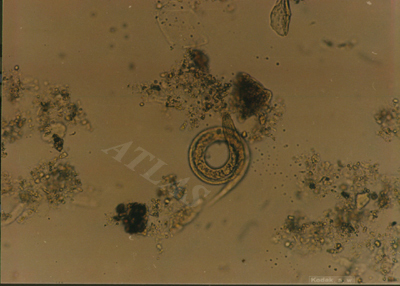 An intra-uterine egg of parasitic Strongyloides stercoralis. 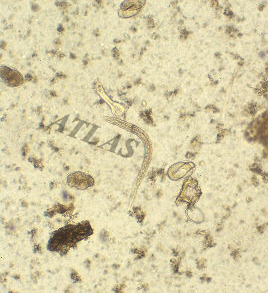 Photographed with a microscope with differential interference contrast attachment (DIC). x200. (Hong et al. 1988. Korean J Parasitol 26: 22-6). 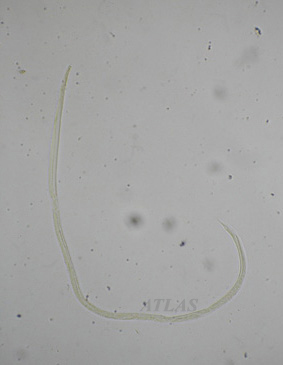 Tail part of parasitic Strongyloides stercoralis. x200. 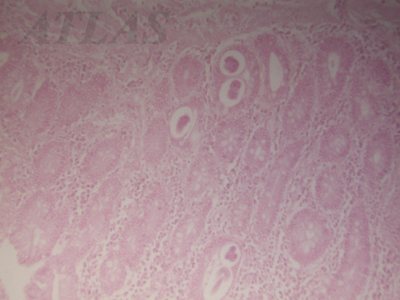 Small intestine of human infected with Strongyloides stercoralis. 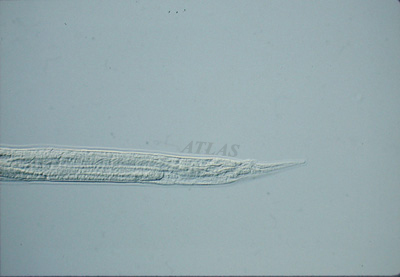 Transverse sections of the worm were seen in the mucosa.